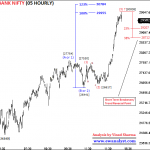 Bank Nifty opened flat at 25742, traded in 25598-25822 range rest of the day and finally closed 33 points up at 25771. Friday, 25542-25348 was the immediate support and Bank Nifty was expected to bounce further above 25857, may be towards 26000-26200 in coming days. 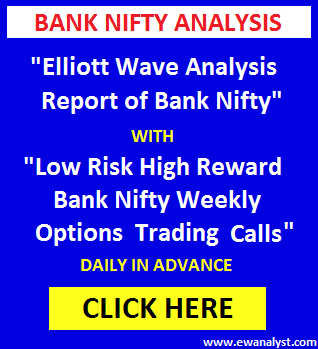 Otherwise, 25348 was the immediate breakeven point on downside and Bank Nifty if breaks below 25348 then further decline expected towards 24528-24353. Trading strategy was to buy any suitable Call of 15th Nov expiry [which is trading around 60] if Bank Nifty get in 25542-25348 range using stoploss of 25329 expecting bounce above 25857-26000 in coming days or Buy Put if Bank Nifty stay below 25348 for 15 minutes. 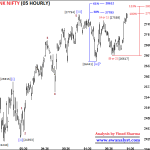 But Bank Nifty opened at 25742, traded in 25598-25822 range for whole day. So, our trade was not activated. Now, we need to analyze fresh charts to calculate further move. Wave (B or 2) is negligible, so we need to calculate 38% retracement of whole decline from 28388-24240 to get upside breakeven point. Upside breakeven point is 25824 which is broken thrice but Bank Nifty didn’t close above it yet, means Bank Nifty is facing very strong resistance at breakeven point. The bounce from 24240-25915 looks like (abc) move, the decline from 25915-24353 is (abc) move and further bounce after 24353 is a 3 waves move till now. 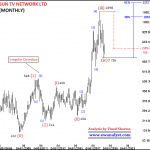 These repeated (abc) waves after 24240 are making it difficult to identify exact waves. 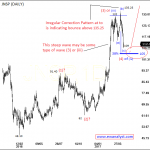 The pattern can turn into Irregular correction also and we need to wait for clear signs. This is 15 Minute time bar chart of Bank Nifty covering bounce after 24353 which I am analyzing independently. 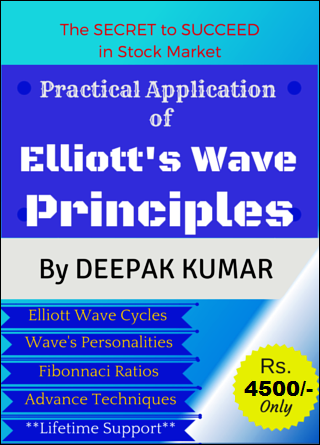 It seems wave (a or 1) may be completed from 24353-25121, (b or 2) may be completed from 25121-24528 and (c or 3) may be completed at 25856. 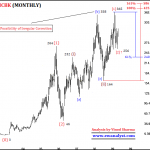 23%-38% retracement of the progress of wave (c or 3) is placed at 25542-25348 which is the immediate support with 25348 as immediate breakeven point on downside. 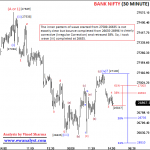 Bank Nifty if breaks below 25348 then further decline towards 24528-24240 can be expected. From high 25856, the pattern looks like a combination of corrective type (abc) waves. So, it may be complex correction, Irregular Correction or Ending Diagonal (ED) in progress from 25537. Overall, there is a possibility of one more bounce above 25857 (may be towards 26000-26200) either from present level or from immediate support range 25542-25348 range. 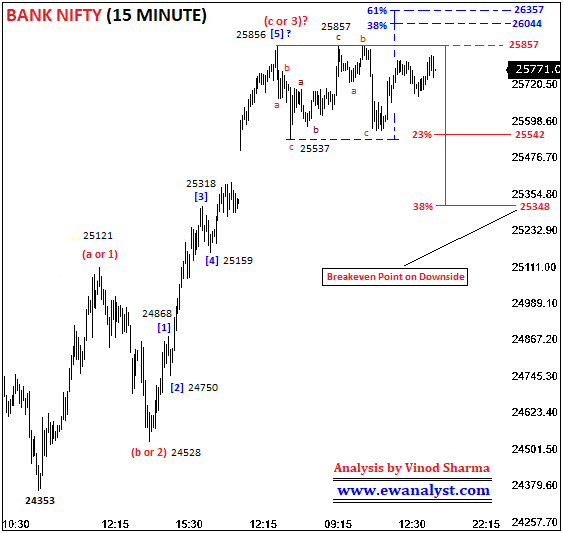 25348 is the immediate breakeven point on downside and Bank Nifty if breaks below 25348 then further decline towards 24528-24240 can be expected. There is no change in outlook, there is a possibility of one more bounce above 25857 (may be towards 26000-26200) either from present level or from immediate support range 25542-25348. 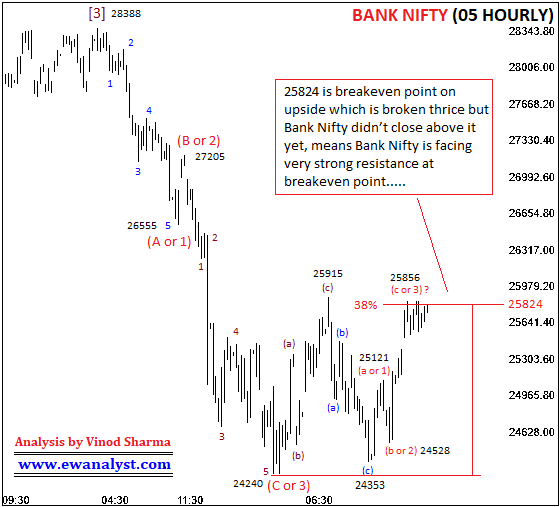 Upside breakeven point 25824 is broken repeatedly, so staying above this breakeven point will also support the bounce. And 25348 is the immediate breakeven point on downside and Bank Nifty if breaks below 25348 then further decline towards 24528-24240 can be expected. 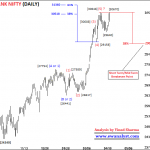 Personalities wise, Bank Nifty is facing very stiff resistance around upside breakeven point 25824 and high is 25857. 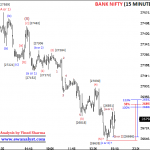 So, Bank Nifty if stay above 25857 for 15 minutes can initiate sharp bounce towards 26044-26357. Bank Nifty if get in 25542-25348 range than any suitable Call of 15th Nov Expiry can be bought using stoploss of 25329 expecting bounce towards 25857-26000 in coming days. Buy any Out of Money Call which is trading around 60. Bank Nifty if breaks and stay above 25857 for 15 minutes then any suitable Call of 15th Nov Expiry can be bought in 25857-25750 range using stoploss of 25699 expecting bounce towards 26000-26357 in coming days. Buy any Out of Money Call which is trading around 60.